ST. GEORGE – A new feature film produced by Red Zeppelin Productions called “TRI” will be screened in St. George Thursday, Friday and Saturday at the Megaplex Main Street Theater. “TRI” is centered around triathlons and the character of the people who train for and complete in them. The St. George screenings will mark the independent film’s theatrical debut outside the film festival circuit and is happening just in time for the Ironman 70.3 St. George, which will host approximately 2,400 triathletes, their family and fans. The story of “TRI” starts with Natalie, an ultrasound technician who is notorious for never finishing anything. However, Natalie gets inspired by a cancer patient and former world-class triathlete to train for the Nation’s Triathlon. As part of her journey, the character joins a triathlon team, “TRI” producer and cowriter Ted Adams III said, and she starts to come across all these crazy people in the world of endurance sports and opens herself up to a whole new world in the process. At the same time, the cancer patient who inspired Natalie is training for her first triathlon since going into remission and is dealing with the frustrations of a body weakened by cancer. Though it is a fictional film, many of the messages and characters will resonate with triathletes and endurance sports athletes partly because the characters were developed with real people and experiences in mind. Adams is a two-time Ironman finisher and certified triathlon coach, and Jamison said many of the storylines in “TRI” were inspired by people Adams met in the triathlon world. I have a personal friend who is a world class, state champion, all-American swimmer who was 20 years old when she had a cardiac arrest. They thought she wasn’t going to make it, and by some miracle, she survived. She is doing better, but she has scars from the emergency surgeries. She was an athlete, and I saw kind of first hand her frustration at not being able to do all that she did because it was all she knew. Even though the characters are fictional, Jamison said he wanted the emotions of the film to ring true so that the audience could see a little bit of themselves in the characters or a bit of someone they know and love. In preparation to direct “TRI,” one of the first things Jamison did was find a triathlon he could go watch. He said the vibe he felt as he watched people who were racing for causes or racing to push themselves and the support, volunteers and community that existed in the triathlon world made a strong impression on him. 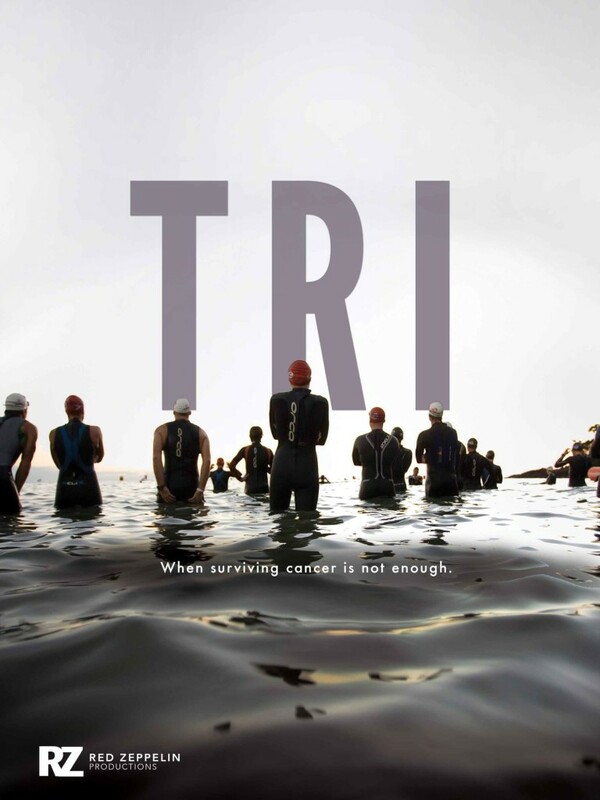 Accuracy was very important to the production crew, so not only did they incorporate three real triathlons into the film, but auditions also included a swim test to be sure the actors were prepared to participate in any portion of the three races where they filmed. Even though none of the actors have ever completed their own triathlon, Adams said you would never know it. “These guys did a phenomenal job,” he said. Since filming “TRI,” many of the cast and crew have been inspired to sign up for their own triathlons, Adams said. In this way, Adams and Jamison are hoping that the film will do well not only with triathletes and endurance runners but also with people who think the story sounds interesting and touching. Tickets for “TRI” are on sale now and can be purchased online or at the Megaplex Main Street Theater, 905 S. Main St., St. George. When: Thursday, Friday and Saturday, 7:30 p.m.